Is it really necessary to register the trademark? Assess product names on a case-by-case basis in industrial or B2B sectors depending on how intensive the sector is in brand communication and the level of competition. The levels of investment in the brand are a good criterion for deciding whether or not it is worth registering, as such registration is a protection of the intended investment. Do not register descriptive or functional trademarks for industrial sectors that are not very active in brand creation. Is the register global and absolute? Geographical: you can apply by country through the trademark offices of each state (Spanish office), regionally in the EU (European office) or even worldwide (international office). The latter actually includes 80 countries. It should be borne in mind that both the price and the likelihood of opposition increases as we expand the geographical scope. Classes: these are the sectors of activity in which registration is carried out. They are sorted into 45 categories or classes according to the Nice classification. Again it is important to limit the number of classes well as both the price and the likelihood of opposition will increase significantly with each additional class. The registration fee for 10 years alone ranges from €120 for the most basic class in Spain to €850 for a class in the EU. If we add more classes and/or more countries, we will have to add up, so a world registration in 3 classes will mean some thousands of euros. That’s why it’s important to be clear about where you want to protect your brand. Do you have to hire specialized lawyers for the whole process? It is not mandatory, although in some cases it is recommended. 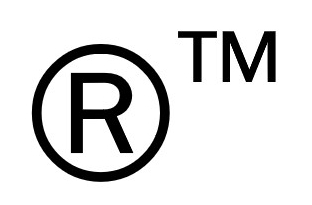 My advice is that anyone who knows how to register their trademark should do it online, as it is very simple and fast. Remember that before registering it is highly recommended to do a search to avoid failed applications. For those who have doubts about the countries or classes in which to register and, above all, if during the process there is any type of opposition or lawsuit from a third party, it is highly recommended to consult with IP lawyers. What is the period of validity of the registration? The registration is valid for 10 years from the moment of approval. It is recommended that trademark management be clearly assigned to a department or function of the company so that there can be a follow-up of renewals, oppositions, registrations of competitors, etc. It is very common that, after 10 years, the trademark is abandoned due to neglect in the renewal.